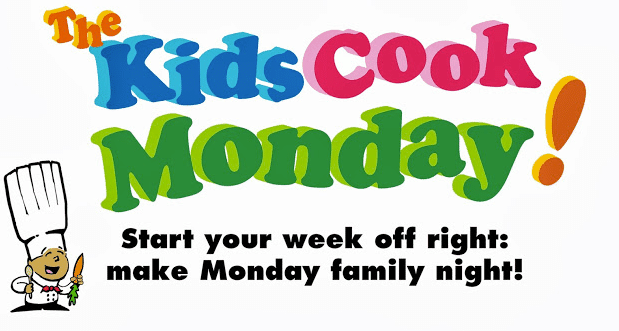 I am very excited to be a new Ambassador for Kids Cook Monday! I support Kids Cook Monday because of their commitment to getting kids in the kitchen and helping more families share a healthy meal together every day. With 52 Mondays on the calendar, there are a lot of opportunities to get a new week off to a healthy start for ourselves and our families. Check out their Facebook page for great recipe ideas and more information! Who Is Cooking At Your House Tonight? As our fabulous school vacation is winding down, we are so thankful for a summer of nightly family dinners that my five kids are able to share not only with me but their grandparents and an occasional aunt or uncle. Once the school year starts, it definitely takes a little more effort to have a family meal together every day. We take what we can get, but I hope that our 72 days of summer family dining helps balance out the 180 days of school year madness. This weekend, one of my favorite of the summer, my family gathered to celebrate our annual family reunion. Family flew in from California and North Carolina and others drove in from towns around New England. I volunteered to bring a dessert. 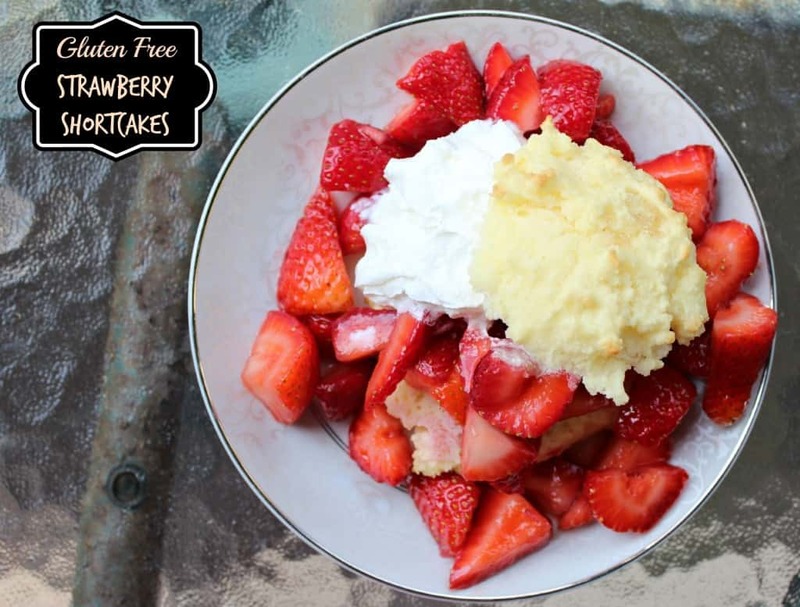 Who wouldn’t love a make-your-own Gluten-Free Strawberry Shortcake dessert section? This dessert was a huge hit and it was a breeze to bring because my kids were able to do most of the preparation. Strawberry Shortcakes have three main components – shortcake biscuits, strawberries, and whipped cream. 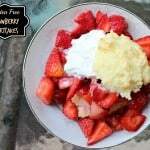 To start preparing your strawberry shortcakes, make the shortcakes – I grew up with homemade shortcake biscuits made with a store-bought self-rising flour and I now use a gluten-free version. While the shortcake biscuits are cooking in the oven, cut your strawberries. 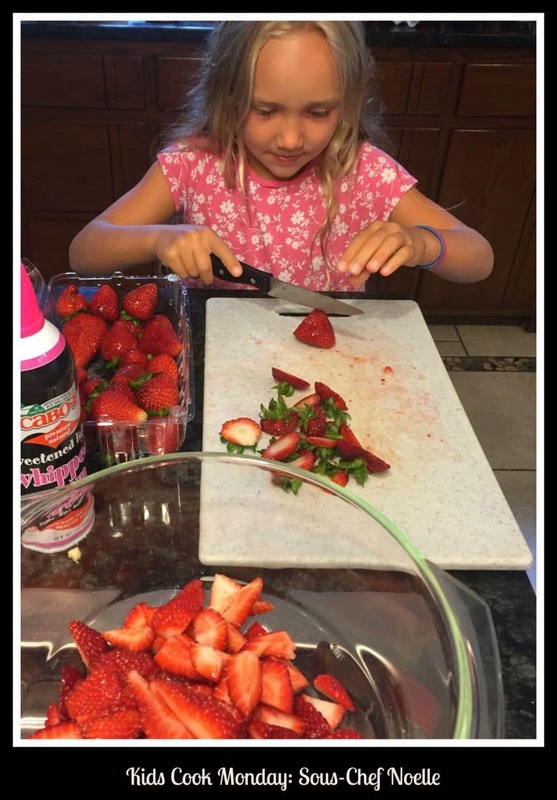 Better yet – have your kids cut your strawberries! You can make your own whipped cream or buy some at the grocery store. While we are living in Massachusetts, we love being able to get Cabot Whipped Cream at our grocery store. It’s the little things, right?? 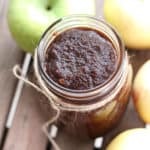 This delicious summer dessert couldn't get any easier! It's a great opportunity to get your kids in the kitchen... lot of easy tasks for smaller hands. Add milk and eggs. Stir well. On a large greased cookie sheet, drop 12 equal oversized spoonfuls and sprinkle with demarara sugar. Bake at 425 degrees for about 10 minutes. In a separate bowl, combine sliced strawberries with 2 to 3 tablespoons of sugar. Set aside. When the biscuits are done baking, cook and slice through the middle. On the bottom biscuit layer, pile strawberries generously, top with whipped cream, top with the top layer of biscuit. Serve! I love kids can cook type recipes! And not just because the posts are insanely cute, but because I still cook like a kid too 🙂 These shortcakes look delicious and quite grown up actually! My daughter occasionally likes to be in the kitchen with me, but to play with strawberries, she’d be all in. Ha, Michelle! Truth! Fruit usually is a big draw for my kids as well! 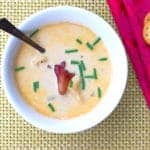 What a great recipe to bring the family together (both in prepping and enjoying)! This is a great, speedy, delicious dessert option! Thanks, Patricia! 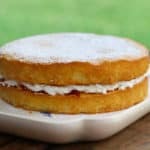 It is a quick dessert option that feels indulgent! And so easy to include the kids in the prep. 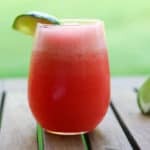 This looks perfect for summer! I love strawberry shortcake!